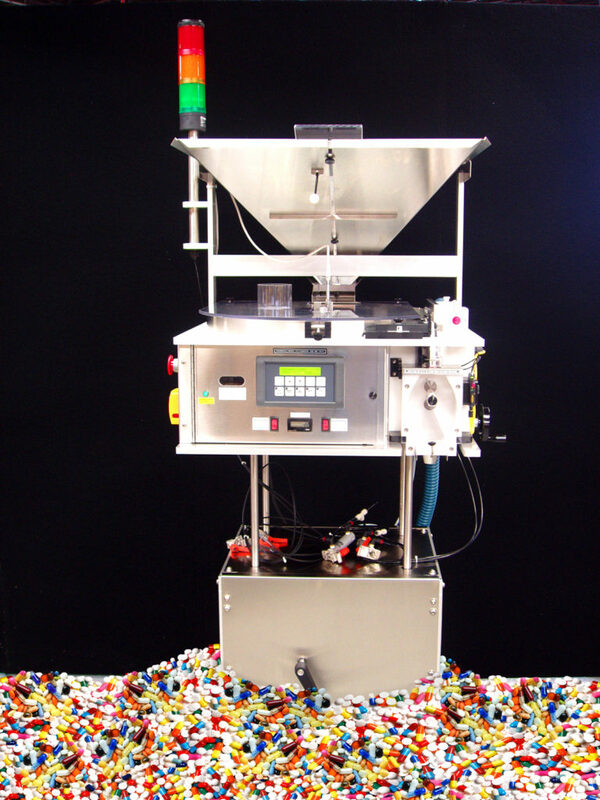 Wall, NJ: The new Pharmafill TC3 Tablet/Capsule Counter from packaging machinery manufacturer Deitz Co., Wall, NJ (www.Deitzco.com), automatically counts tablets, capsules, caplets, softgels, lozenges and other solid oral dose products with 99.99% accuracy. To be introduced at the Deitz Pack Expo booth #S-1415 on Nov. 6, 2016 in Chicago, IL, the new TC3 automatically counts opaque, translucent or transparent solid oral dose products at up to 2,500 per minute. Developed for nutraceutical, pharmaceutical, cosmeceutical and other companies that are outgrowing their manual and semi-automatic counting and filling methods, the TC3 electronic tablet counter features fully PLC-controlled operation with no product change parts for easy setup, usage and breakdown without tools. Product changeovers may be completed in less than five minutes – including testing. Designed and manufactured in the company’s Wall, New Jersey, headquarters, the new TC3 automated tablet counter offers a durable, heavy-duty body with stainless steel in product contact areas on a compact footprint spanning a mere 24-1/2 inches x 39 inches deep. Requiring only 36 inches of conveyor line, the mobile TC3 automatic pill counter may be rolled up to a companion Pharmafill conveyor or to an existing conveyor and easily positioned for smooth integration. An integral lift platform allows the versatile counter to be raised or lowered by hand crank or by optional motorized system to suit the height of the bottle and conveyor.